This park honors Corona community activist Louis F. Simeone (1920-1984). Simeone was raised in Corona, Queens, attending St. Leo’s Parochial School, Laughlin High School, and St. John’s University, earning a degree in accounting. Soon after graduating St. John’s, he opened his own accounting and insurance firm in Corona, the Simeone Agency. Active in many civic organizations, Simeone was a member of the Lions Club, Community Board 4, and Community School Board 24, both of which he chaired. During his years of service on Community Board 4, Simeone was active in the fight for increased senior housing in the neighborhood of Corona. It was during his tenure that the Community Board and the Department of Housing Preservation and Development (HPD) collaborated to arrange a maintenance agreement for this park property. At the time, HPD had jurisdiction over the property, and they reached an agreement by which the Transport Workers Union (TWU), an organization created to protect transit workers from unfair wages and grueling work conditions, would care for and maintain the park. As a result this site became known as TWU Park for a time. On December 19, 1997, the City assigned the property to Parks. Parks Commissioner Stern renamed the park Louis Simeone Park in 1998 to honor the late civic activist. 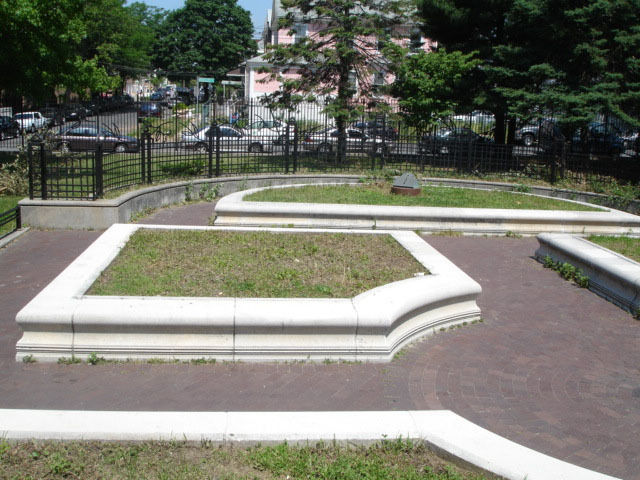 In May 2001, major reconstruction of the park was completed with a $500,000 allocation from Council Member Helen M. Marshall. Renovations included building a formal garden, reconstructing the walks and brick pavements, and rebuilding a brick-paved gazebo and circular plaza entrance. The renovation also brought steel benches to the park and added bronze birds and leaf art to the steel fences. New plantings included tulips (Tulipa spp. ), daffodils (Narcissus pseudonarcissus), iris (Iris spp. ), lilies (Liliaceae spp. ), ferns (Filicinae), periwinkle (Vinca minor), woodbine (Lonicera periclymenum), and other ground cover. In the formal garden, ivy (Hedera helix), periwinkle, daffodils, and bearberry cotoneaster (Cotoneaster dammeri) have been planted. P.S. 7, which is under the jurisdiction of School Board 24, is also named in honor of Louis Simeone.